Father's Day Western DVD and Blu-ray Sale at Amazon! 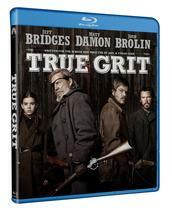 The Coen Brothers' 'True Grit (2010)' hits stores today and Amazon has rounded up some western themed deals perfect for dear old dad on his special day! For a limited time only, Amazon's Western Sale is sporting some excellent gift ideas pop would surely enjoy. Some highlights in this sale include 'Once Upon a Time in the West' and 'Rio Lobo' for $10.49 each (58% off) and of course 'True Grit' for $17.99 (55% off)! But if your dad doesn't like westerns, no worries! Click here for action, science fiction, and a wide variety of other categories with some great bargains to be had!